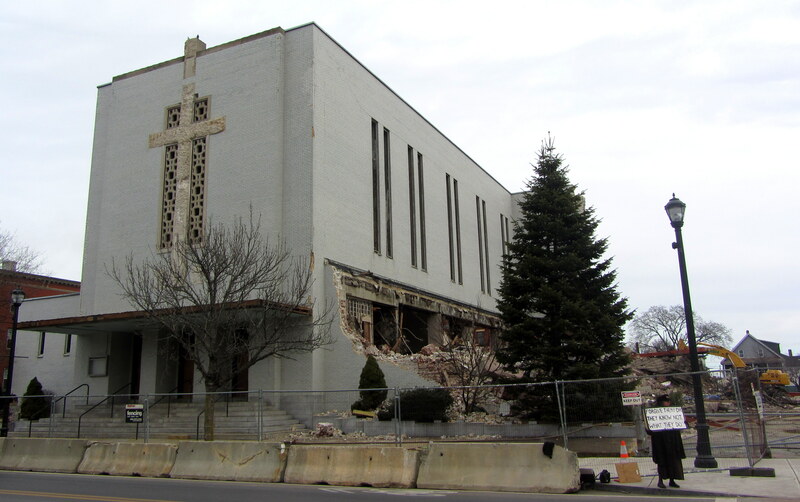 The razing of St. Joseph’s Church in Salem began this week, with the steeple coming down on Thursday and some serious demolition ongoing yesterday. 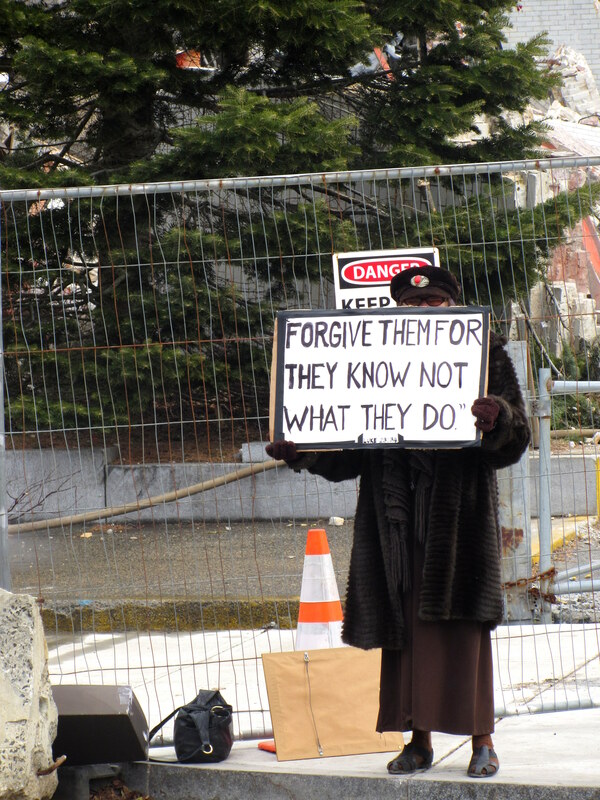 This was the parish church of the Point neighborhood of Salem, closed by the Archdiocese of Boston in 2004. Since that time, plans for its removal and/or redevelopment have divided the community. 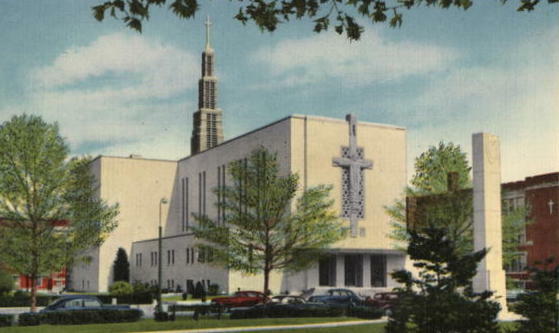 Preservationists, represented by Historic Salem, Inc., sought to save the mid-century “International Style” structure (it was built in 1949-50, finally replacing the more majestic church that was destroyed in the great fire of 1914) while others favored the affordable housing plan put forward by the Archdiocese’s development arm, the Planning Office for Urban Affairs. 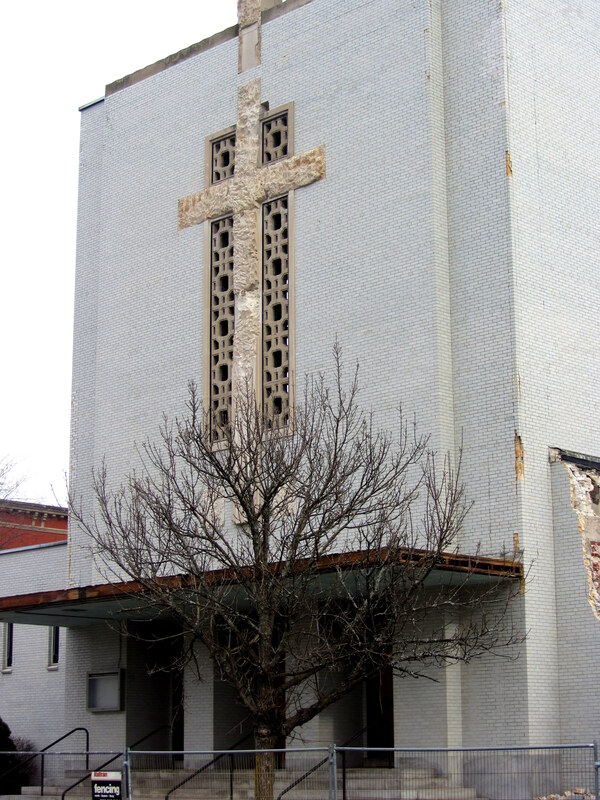 The two sides/goals could not be brought together, and of course affordable housing always trumps historic preservation, so the church is coming down. 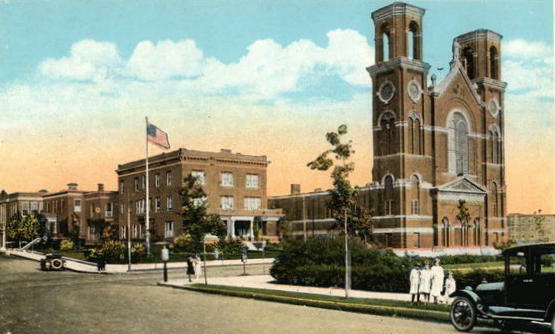 St. Joseph’s before the fire of 1914, and the shiny new building of the 1950s. 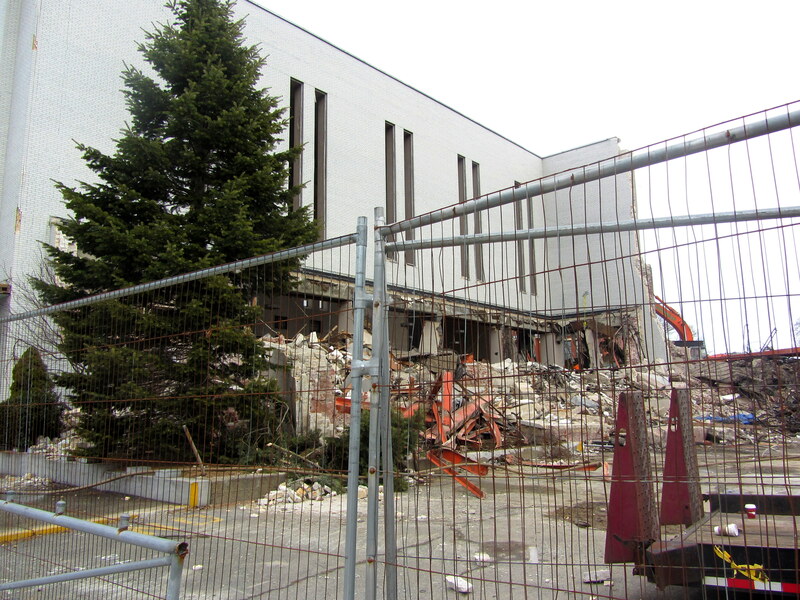 While I did not care for the style of St. Joseph’s, I fear that something far worse will be erected in its place. This is a very vulnerable, and prominent, location in Salem, where the once-grand boulevard of Lafayette Street meets downtown, and it has been neglected for some time. And while the exterior left me cold, the cruciform-planned interior was apparently something to behold. 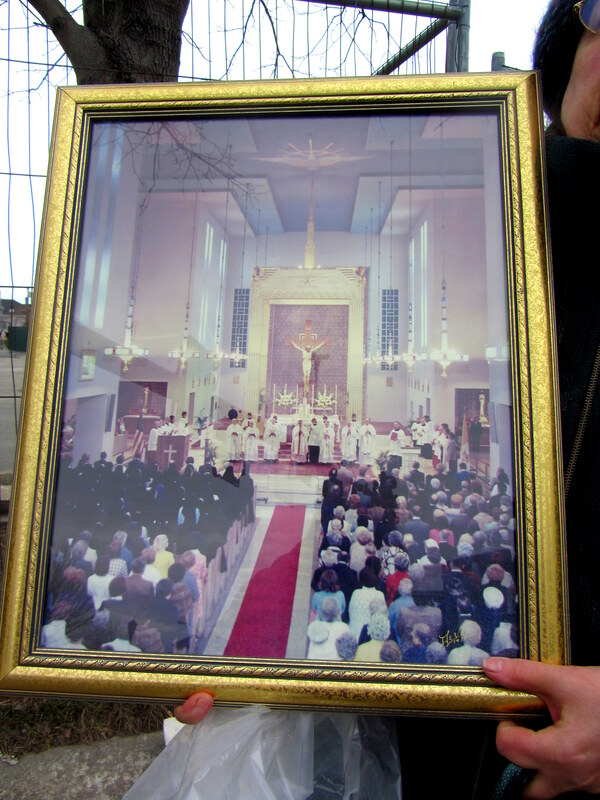 I regret that I never saw it while in use: all I have to go on now are pictures, like the one held by one of the witnesses to yesterday’s demolition.